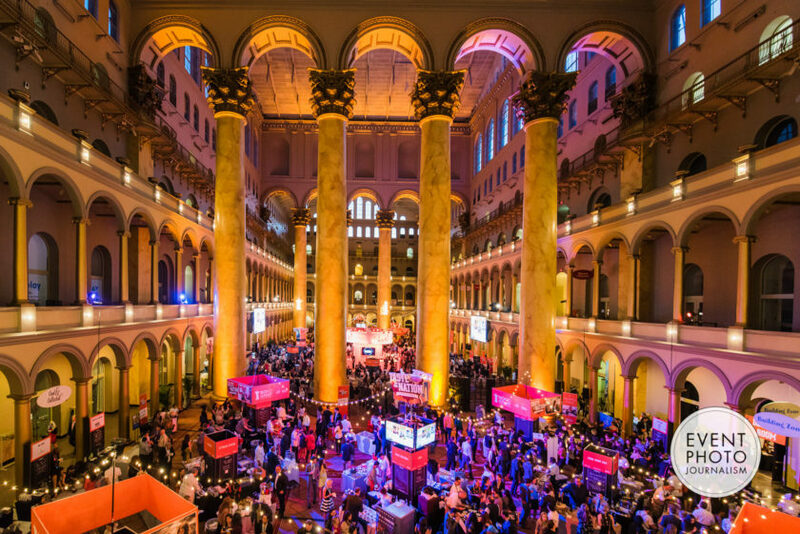 This year DC’s Taste of the Nation for No Kid Hungry benefited the Capital Area Food Bank, DC Hunger Solutions and Mary’s Center. “Childhood hunger is a problem that threatens our children and our future. We’re in danger of losing an entire generation of leaders, innovators and problem-solvers. But we are ending childhood hunger today. About Share Our Strength: the organization started with the belief that everyone has a strength to share in the global fight against hunger and poverty, and that in these shared strengths lie sustainable solutions. Today we focus these strengths on making No Kid Hungry a reality in America. Donate to help end childhood hunger at www.nokidhungry.org/give/overview. Event Photography for Share Our Strength No Kid Hungry DC’s Taste of the Nation by Event Photojournalism. Washington DC Event Photography for No Kid Hungry: DC’s Taste of the Nation at the National Building Museum.